It's terrifying...ghoulish, and downright blood curdling... and it's a MUST DO Halloween Event! 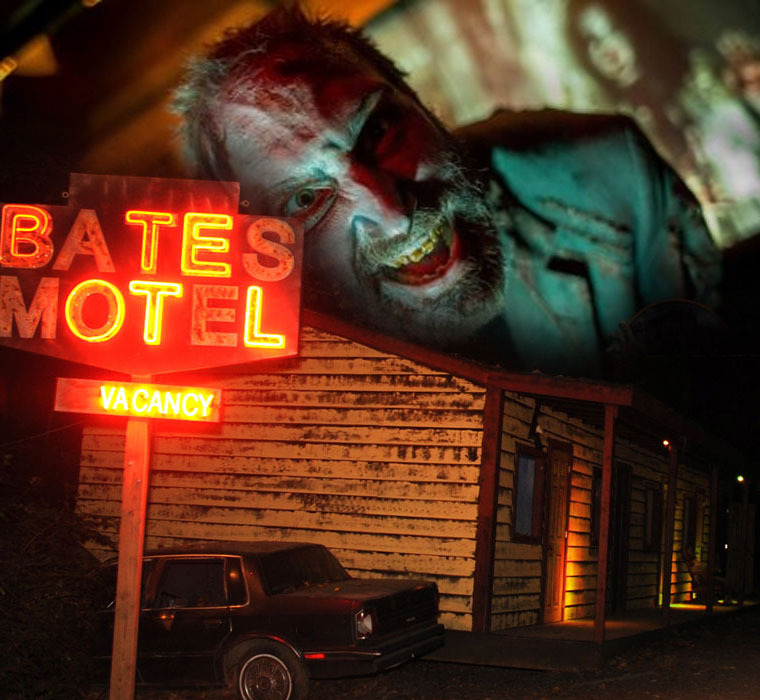 Throughout October the Bates Motel & Haunted Hayride will be scaring the #*^&^! 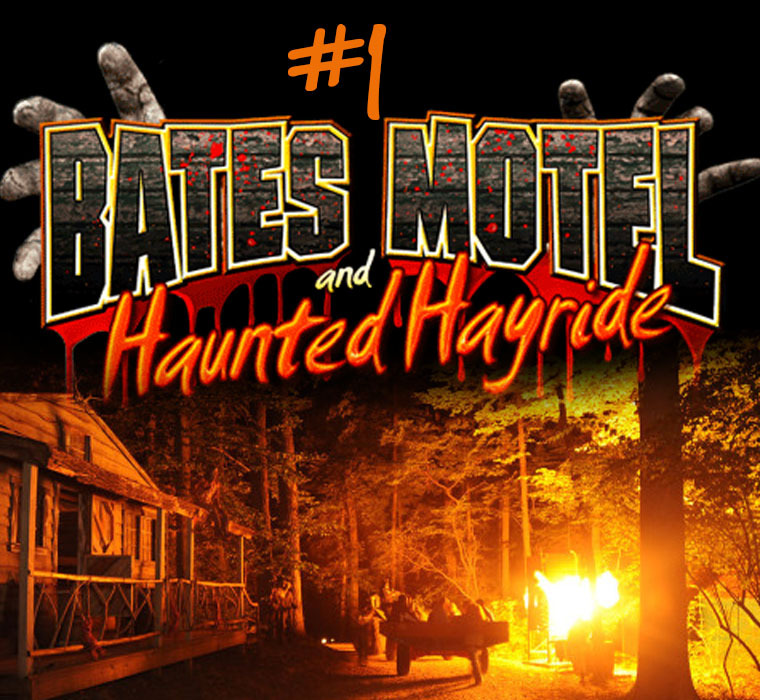 out of thousands of people, who, in the dark of night, ooze from the safety of their homes to slither into the dark fields of Glen Mills in search of a heart-pounding experience at the nation's #1 haunted attraction. The Travel Channel has chilled & thrilled viewers many times, by showcasing this frightfully delicious place, and...Hauntworld Magazine and USA Today have rated it the #1 Haunted Attraction in America! The props are truly 'film worthy with digital FX, great actors and extraordinary professional makeup. The Haunted Hayride is a 25 minute, action packed, heart pounding ride through the dark forest of Arasapha Farm. It is filled with huge, detailed sets, giant monsters and more pyrotechnics than a Kiss concert. And a 200 foot long cave...and you'll never guess what's inside...!#$%#! 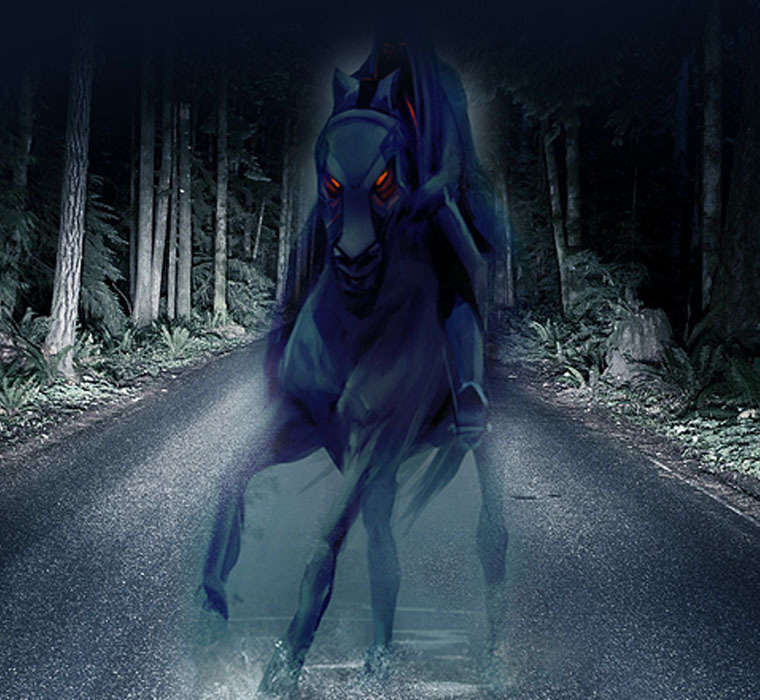 And beware of the hooves...because the Headless Horseman is making a come back appearance! Q: Why did the ghost go to his neighborhood bar? You and a handful of others are “locked” in a room with one hour to escape. So channel your inner Sherlock and start collecting clues, solving puzzles and de-coding riddles! 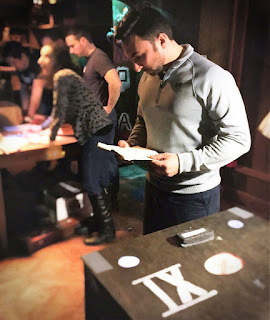 Media's Xscape the Room is in its 2nd year of providing live escape games which, throughout the year, have become the hottest new date night, girls night, birthday celebration or team building experience. $28.00 a person (including taxes & fees) and at least 4 players are needed for them to run a quality game. The best times are had with the maximum of 10 players. Click below for more details. Q: What kind of music do mummies like? 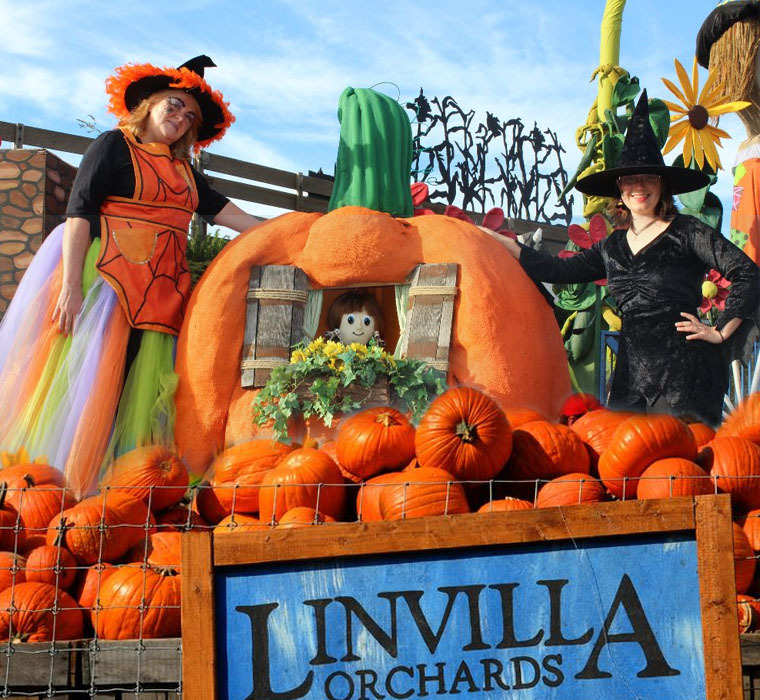 But the only things getting 'wrapped' at Linvilla Orchards is their famous, fresh-made candy, cakes and pumpkin pies! 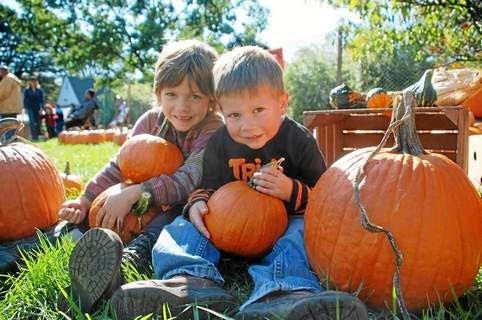 Their Farmers Market is just one of the reasons that generations of families visit Pumpkinland! Open now through early November, Pumpkinland is home to larger-than-life scarecrows and other legendary characters who only appear at Halloween. 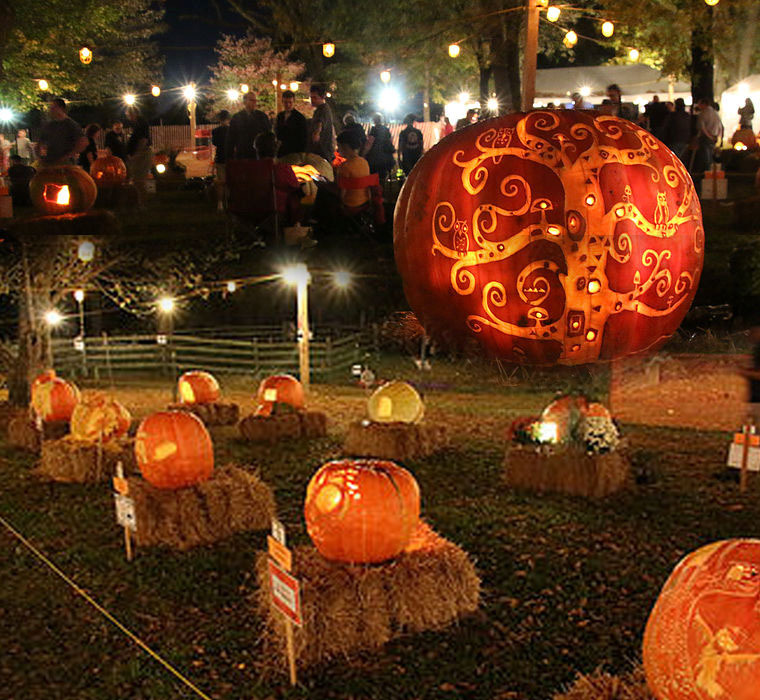 There are piles of pumpkins everywhere, in all colors, shapes and sizes — a huge selection of straw bales, corn shocks, toys and fall decorations -- plus Corn Mazes to get lost in -- a week of twilight-time jack-o-lanterns -- Autumn Moon & Witches House Hayrides -- and ghoulish Halloween brews and treats for every taste and budget! A: To stop his coffin! 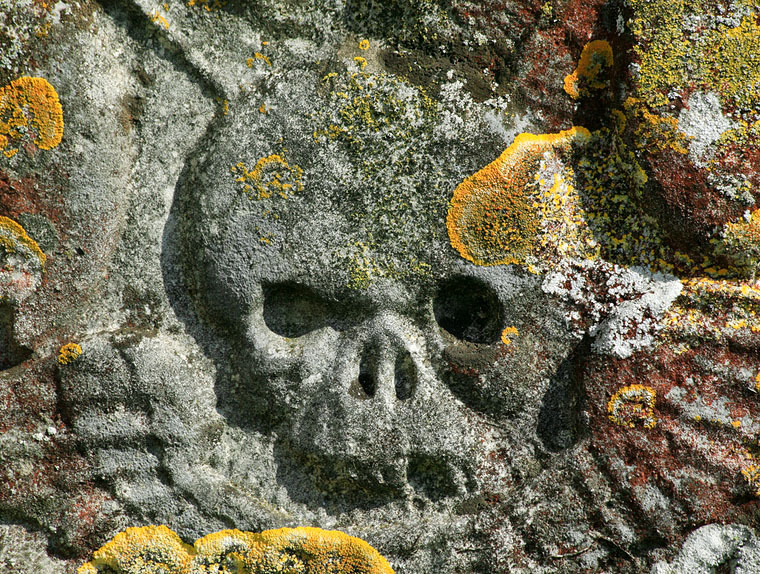 No one will be 'coffin' during the Chadds Ford Historical society's October TAVERN TALK...because everyone will be spellbound by tales of tombstones, evil spirits and ghost-hunting adventures! On Thursday night, October 12th from 7-9 pm, the spirits (both supernatural and fermented!) will be flowing freely at the Chadds Ford Historical Society's Barns-Brinton House Tavern for an evening of "SPIRITS & SPIRITS." Tavern Talks is a monthly experience (not a lecture!) 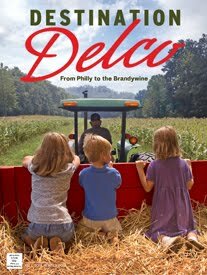 aimed exclusively for adults 21 and older that focuses on unexplored aspects of early American history and culture. Next to the Chaddsford Winery at 630 Baltimore Pike. Adm $20 for non-members, $15 for members. 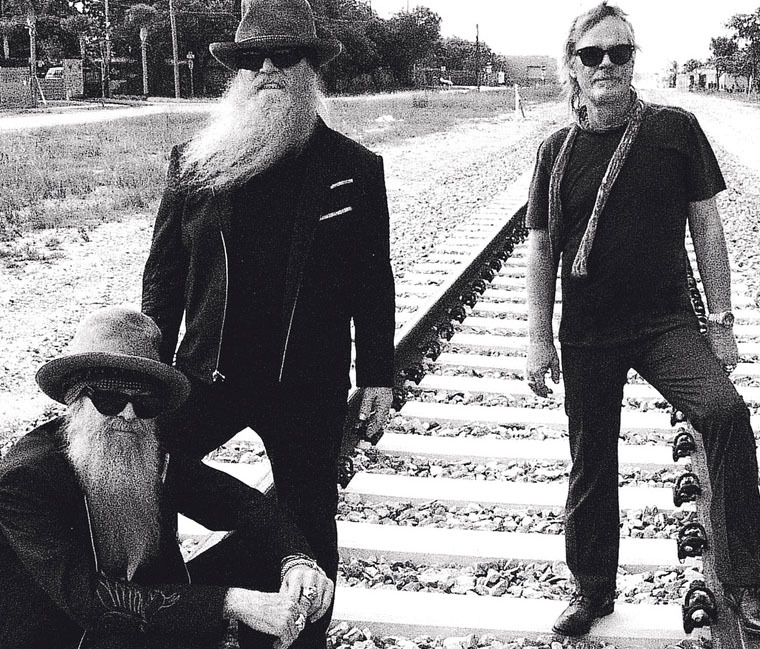 Tickets must be purchased in advance over the phone, in person or online as space is limited. Q: Who does Dracula get letters from? ...but the Colonial Pennsylvania Plantation has even more fangs! 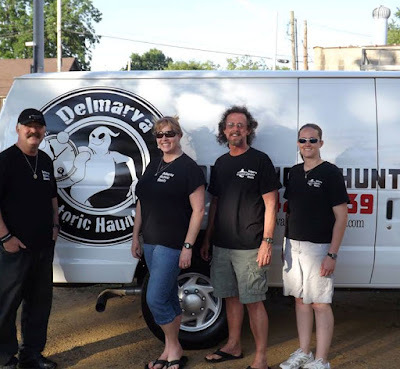 Their famous Lantern Ghost Tours have grown so popular they've added a 3rd day of tours! 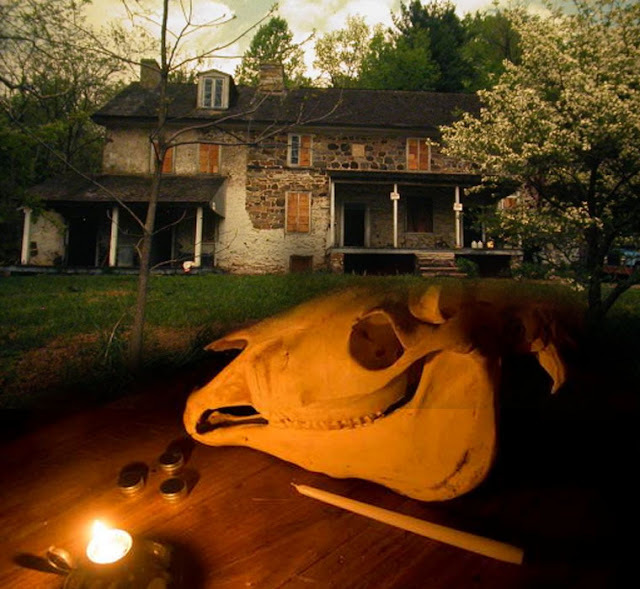 So pick your day, October 13th, 21st or 28th, and let the Plantation's history guides lead you into the night...back into time...for a creaky, eerie walking tour experience at one of the most haunted sites in the County. Follow a torch lit path...learn about the strange and inexplicable ways that colonists treated their dead...visit the wagon barn and farmhouse where you'll hear stories of bizarre events that took place... and for the first time ever, you will tour the farmhouse basement. BE - PREPARED - FOR A HORRIFIC STORY...!!$#@%^!! Tickets only available by phone reservation. Accepts Visa and Mastercard by phone. Tickets only available through pre-registration. Tours are approx. 1.5 hours and start every 30 minutes. 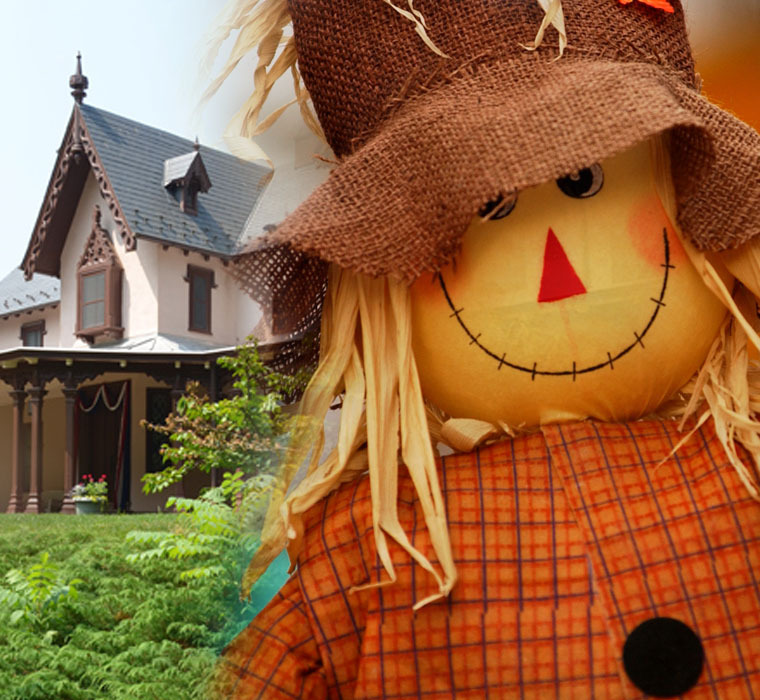 Assemble your own scarecrow and take a hayride through Tyler’s fall colors. And try your hand at crafts, games, face painting, a moon bounce, and an inflatable obstacle course! Take great family photos among the pumpkins! Hours are 10am to 5pm each day, and there's no pre-registration required. 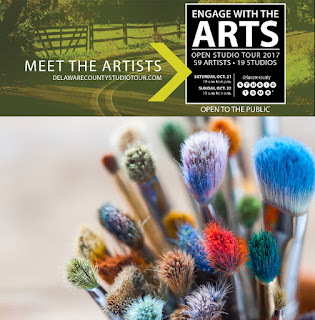 Free for members, Non-member admission is $15 for adults, $13 for seniors, and $9 for youth, students and active military with ID. Children 2 and under are free. There's free parking at Penn State Brandywine with shuttle service. For reserved parking at Tyler, pre-paid parking passes are available for $10. Q: What do you call a little monster's mother and father? So... if you're a mummy or deady, grab your OWN little monsters and head to the Grange for their annual Pumpkin Painting & Scarecrow Workshops. The Scarecrow Workshop is 1 to 4pm, and costs $5 per crow. 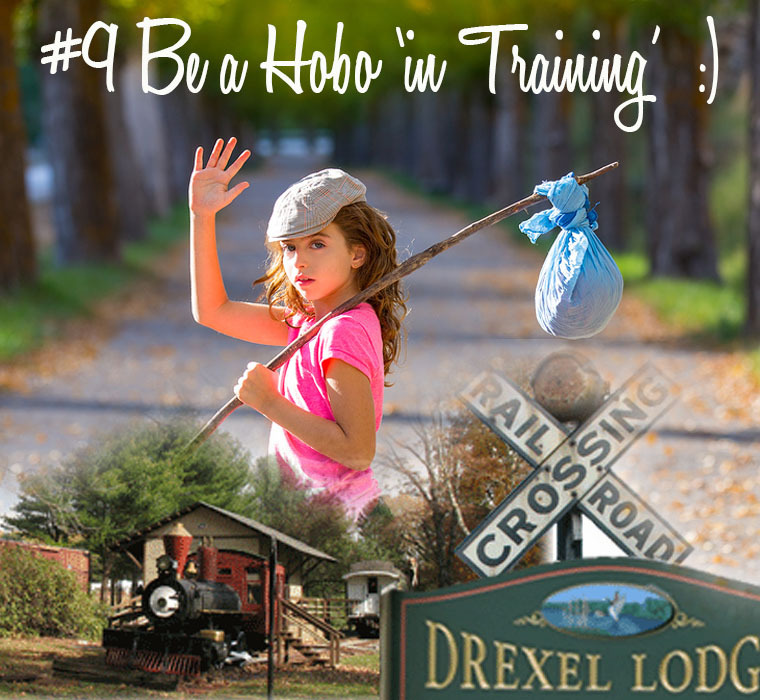 But before you come, send the kids on a 'stuffing' hunt around your home, gathering a bag full of old tee shirts and other fluffy house-hold items to stuff and plump up your newest family member (the scarecrow). Other materials are supplied at the workshop. Or maybe your family would rather adopt a Pumpkin for the porch... The Pumpkin Painting Workshop starts at 1:30pm and is $5 per pumpkin. Q: Where do most werewolves live? ...and where do all the best carved pumpkins live? In Chadds Ford, of course! Not many sculptors use 'live' canvases...but ours do - and these orange, pulpy masterpieces take center stage at the biggest, baddest Pumpkin Carve Celebration of them all! Weighing up to 400 pounds, all will be lit and displayed at the end of the carving on Thursday, October 19th (5-9pm)...and again, on Friday (5-9pm) and Saturday, October 20th & 21st (3-9pm).Great food and fall treats will be offered by area eateries, plus there will be live music, hayrides, a haunted trail and more. Q: What are ghosts favorite kind of streets? There will definitely be a dead Elvis sighting or two, but the 53rd Annual Halloween Parade on State Street in Media will be alive with monsters & ghouls on October 28th, starting at 2pm. 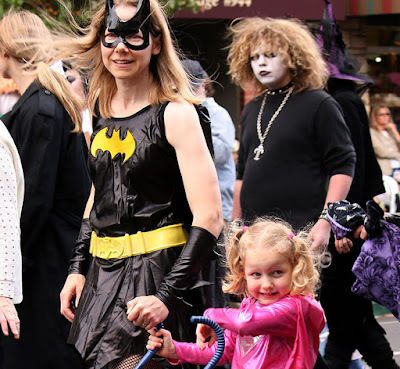 There will be plenty of music and fun for all ages as every costumed-character imaginable from traditional witches and ghosts to zombies to cartoon characters and comic book heroes (Like Batgirl, above) proudly walk the parade route. 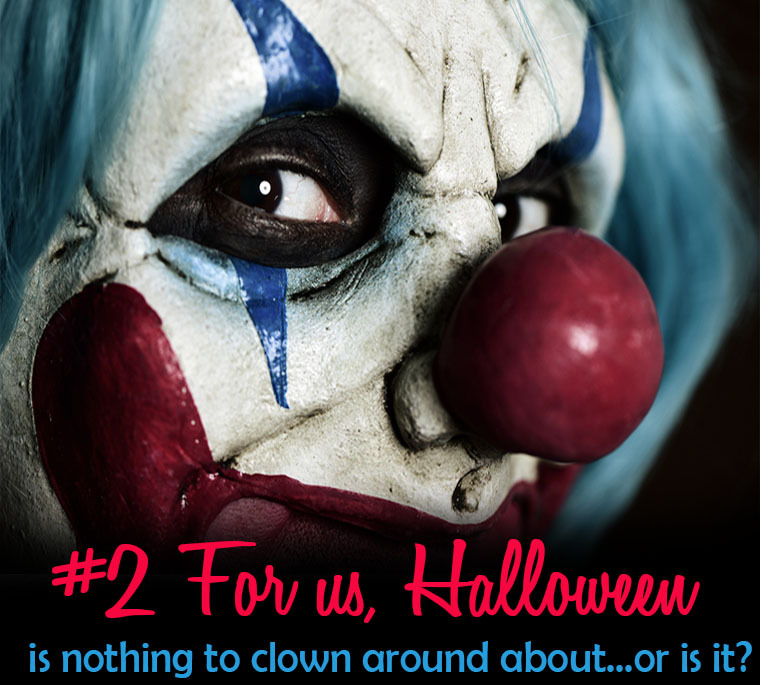 Click here for more fun Halloween Jokes! Voted Best Musical of the 20th Century by Time Magazine, Broadway's Joseph Spieldenner (above) is sensational as Billy Bigelow in the Media Theatre production of Carousel, on stage now through October 22nd. 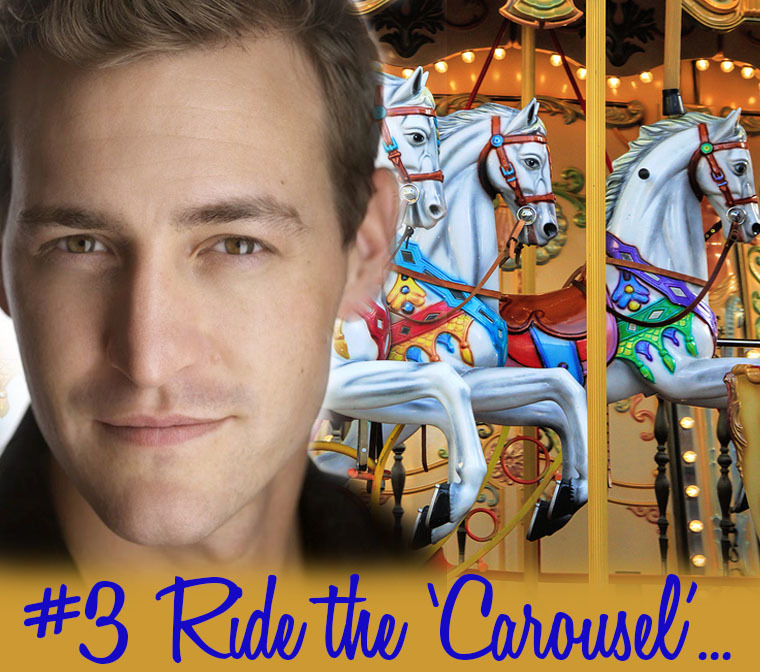 The story tells of a charming, roguish carnival barker, Billy Bigelow, who meets and falls in love with mill worker Julie Jordan. Their marriage ends up costing both them both their jobs, and when Billy falls in with con-man Jigger Craigin, he gets caught in an armed robbery and takes his own life. This is the first US solo museum project by the Brooklyn-based artist who created this master work during a year-long residency at the Museum. 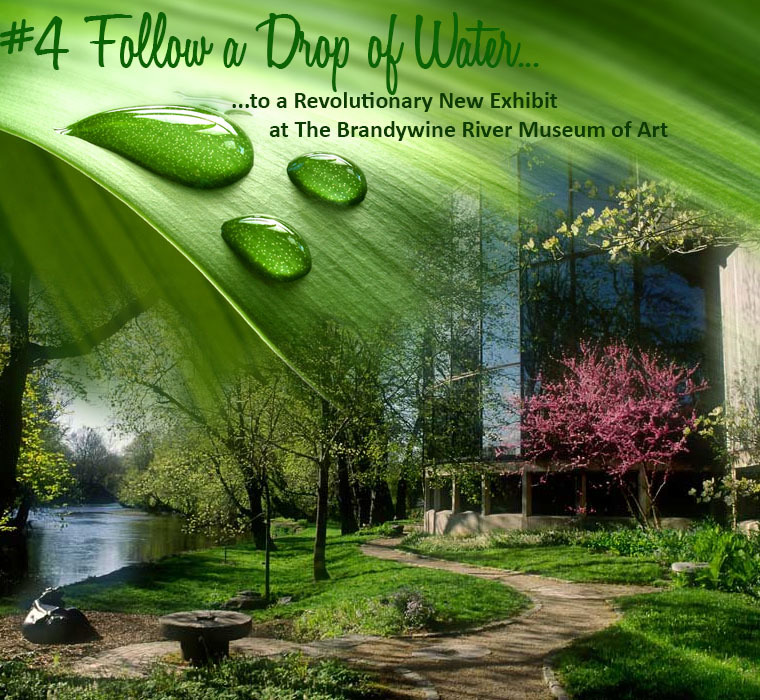 Combining Video, Sculpture, Performance and Digital Media, this exhibit transforms the Museum's third floor gallery into a 4-channel, 4K video installation that narrates the path of a single drop of water down the course of the Brandywine and documents the local communities through which it flows. 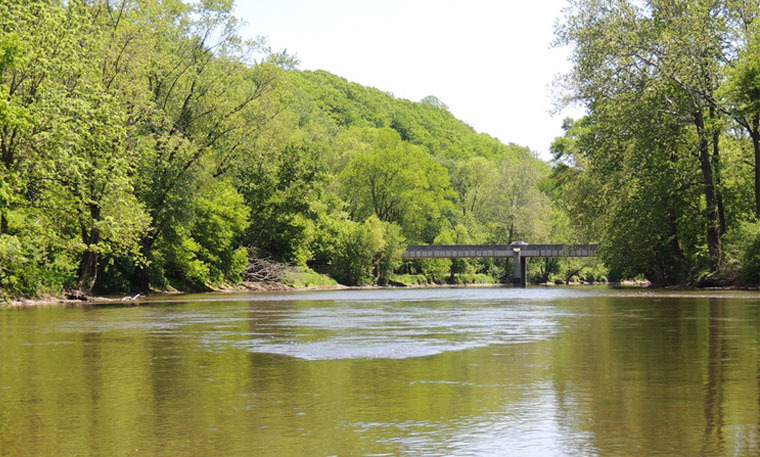 Shot on location in the Brandywine Watershed and surrounding region, the project traces the river’s headwaters among the farms of the Honey Brook Township, through industrial towns like Coatesville, and the rolling hills of Chadds Ford, to the public water supply to the city of Wilmington, DE. highwatermarks presents the river and its people through four seasons, blending views from the Brandywine landscape with on-water shots filmed from a small boat constructed by the artist earlier in his residency. ...the first solo museum exhibition of new and recent works by Uruguayan-American artist Ana Vizcarra Rankin (b. 1977, Maldonado), presented by Philadelphia Contemporary and hosted by the Brandywine River Museum of Art. 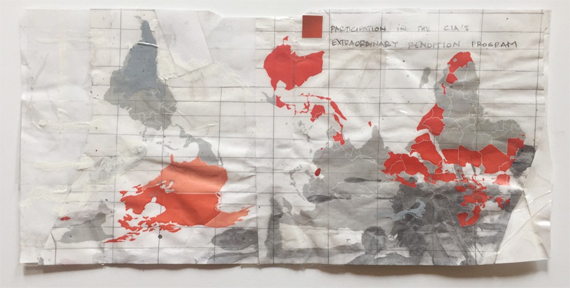 In large-scale paintings and hand-crafted collages of astronomical constellations and world maps, Vizcarra Rankin investigates themes of space, time, and correlation and creates dialog on humanity, globalization, migration, and scientific exploration. 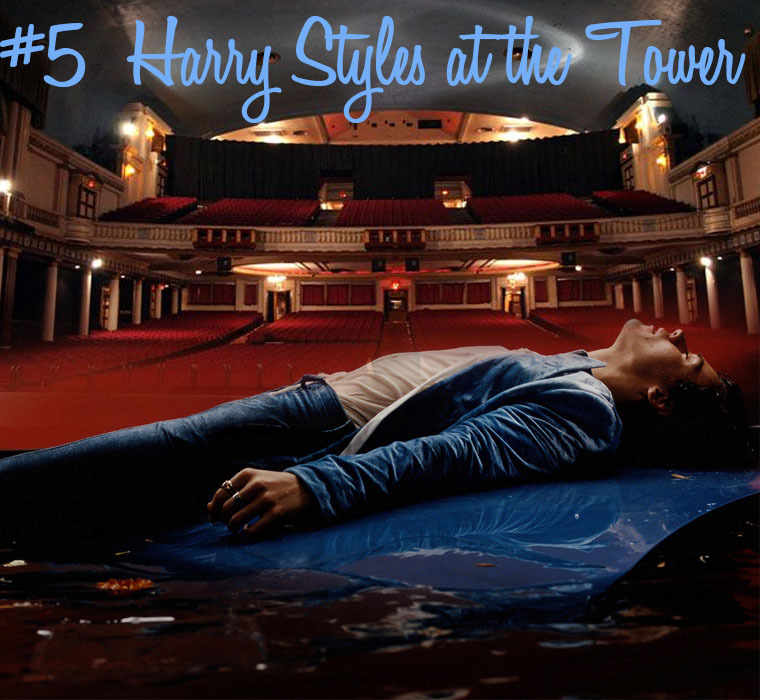 An alumni of Britain's X-Factor, where he became front-man for the show's newly minted and hugely successful boy band, One Direction, Harry Styles now stands alone in the spotlight for an 8-week North American tour – and you can see him at the Tower Theater one night only: 8pm, October 5th! Not only is the music hot, so’s the debate about Harry's Song-duel with former girlfriend, Taylor Swift. Harry's song "Ever Since New York" is thought to be addressed to his former flame -- and Taylor, whose songs "Out Of The Woods" and "Style" (duh!) were thought to be about Harry. and you've got an extra month to see the Main Fountain Garden! 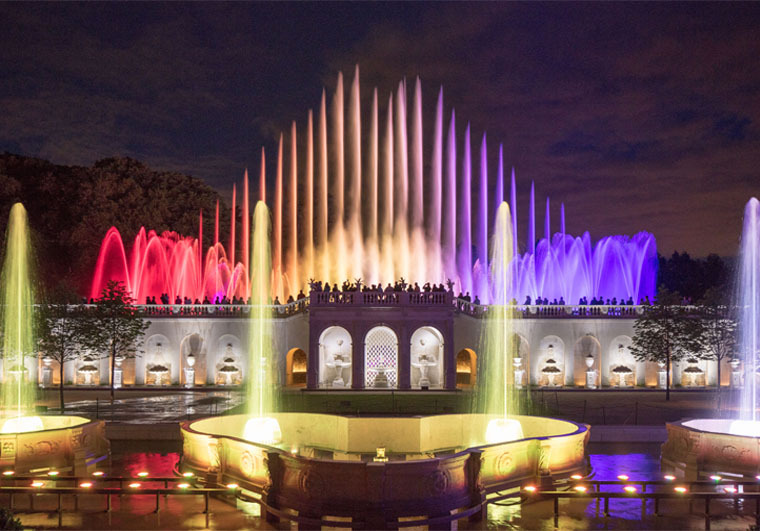 Half a million guests have visited Longwood Gardens' revitalized Main Fountain Garden since opening to rave reviews on May 27th - so they've extended performances throughout October! The Main Fountain Garden returned in May with glorious fountain performances, concerts, and special events. Originally slated to end their season on September 30th, Paul Redman, President and CEO announced “Our guests asked for more fountain performances and we are pleased that we can make that happen." 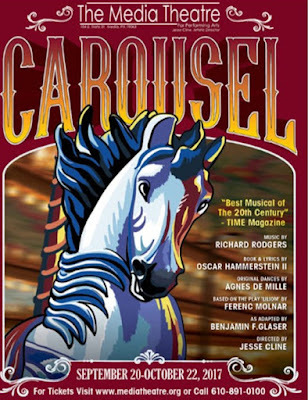 There are 12-minute shows daily at 11 am, 1, 3, and 5 pm through October 31. Illuminated Fountain Performance set to music at 7:30 pm. Photo by Daniel Traub of Kennett Square, PA.
Oct 13th: A NIGHT AT THE MOVIES - Music from Harry Potter and the Sorcerer's Stone, Back to the Future, Dr. No, E.T., Pink Panther, Rocky, Star Wars: Episode IV and more. Oct 20th: IF IT AIN'T GOT THAT SWING - The Wynton Marsalis Quintet, Louis Armstrong & Duke Ellington, Ella Fitzgerald, John Coltrane, and Benny Goodman. Oct 21st: BRITISH INVASION - The Electric Light Orchestra, Coldplay, Elton John, The Who, Paul McCartney, Adele, and Queen. Oct 28th: THE BEATLES - Sgt. Pepper's Lonely Hearts Club Band, Help!, and I want to Hold Your Hand. 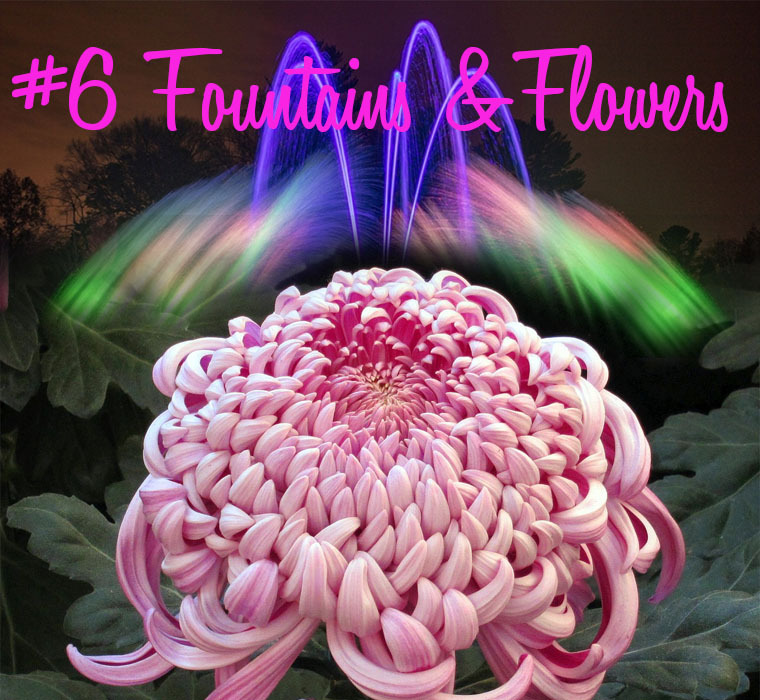 And be sure to experience their Annual Chrysanthemum Festival! 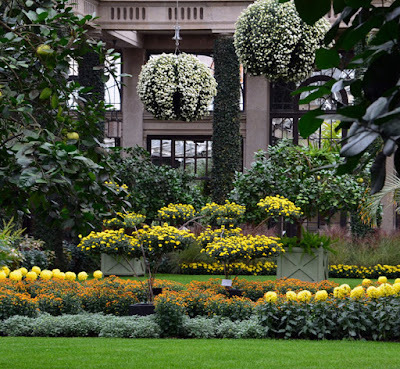 During extended evening hours on October 6, 13, 14, 20, 21, 27, and 28, the chrysanthemum-filled Conservatory comes aglow with Asian-inspired lanterns and the Beer Garden is open for tasty pub fare & live music! On US Route 1, near Kennett Square, PA. 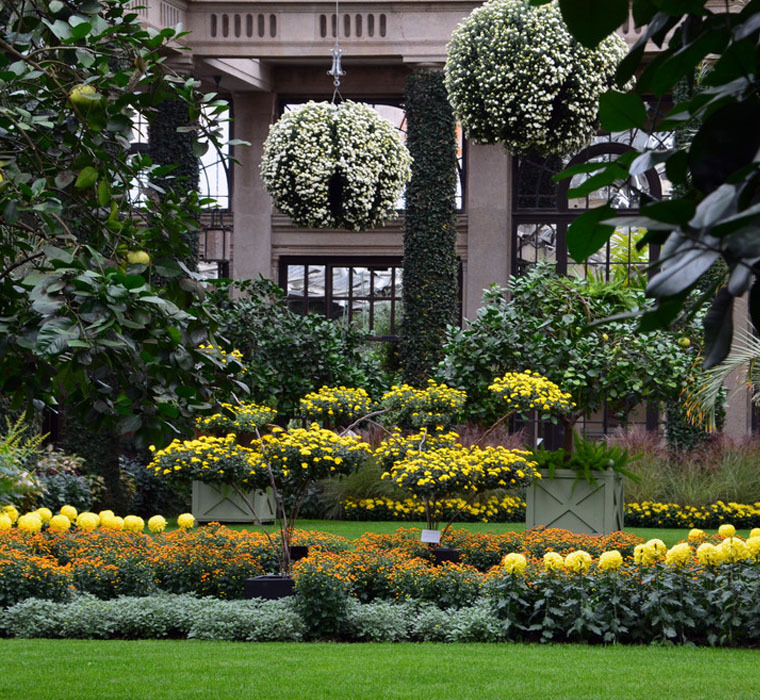 The Gardens are open from 9am-9pm on these special evenings. You don't have 1000 and One Nights...because there's just one afternoon performance at the Meagher Theatre. SO GET TICKETS NOW to hear music inspired by the greatest story-teller ever imagined...and more! Let the talent, energy and passion of these outstanding musicians lure you into the desert, with melodies that evoke images of vast waves of golden sand undulating like an ocean... Feel the winds of adventure swirl around you as the music portrays the many exciting stories within the story of a woman in the midst of a dangerous game of cat and mouse with a vengeful King! 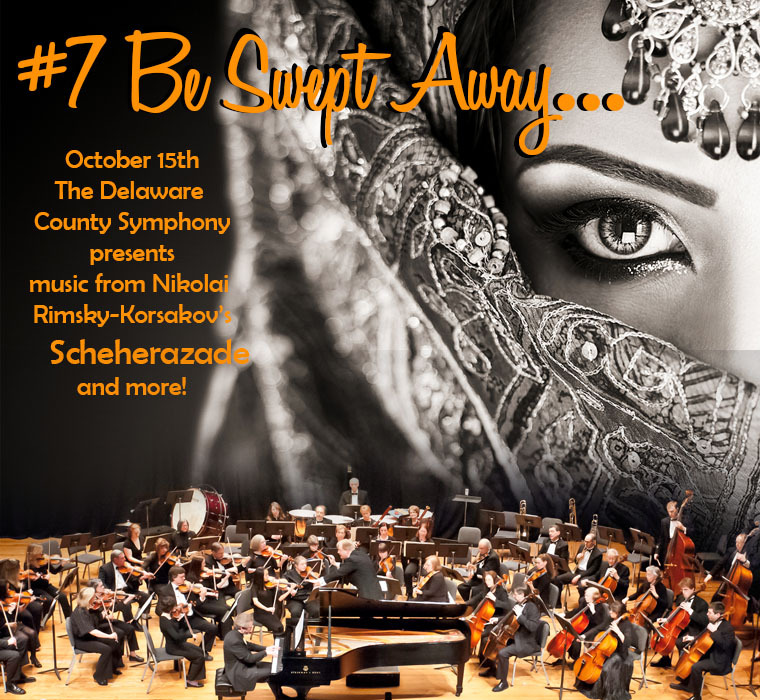 All played-to-life exquisitely by Delaware County's renowned orchestra. Considered Rimsky-Korsakov's most popular work, the story is about a King whose wife betrays him with another. He swears off love (after killing her) and decides to marry a different woman everyday, and kill her each morning after, so that he never experiences betrayal again. But when Scheherazade becomes his wife, she saves herself by spinning 1000 stories over a 1000+1 nights, always ending at dawn with a cliffhanger moment...(sort of the original Soap Opera!). When she finally tells the King she has no more stories...he discovers he's fallen in love with her. 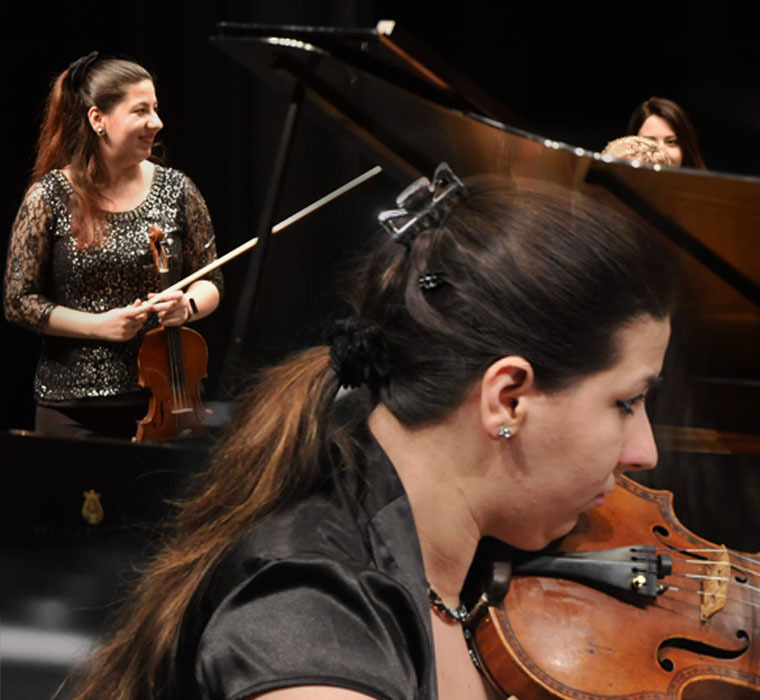 The Program also includes Jean Sibelius' Karelia Suite, and Henryk Wieniawski's Fantasie Brilliante on Themes from Gounod's Faust, Op. 20 with a solo by premier violinist, Nina Vieru. Symphony ticket prices are: Individual tickets at full price $20 -- Senior/Student individual tickets $17 -- One child under 12 (with paying adult) FREE. 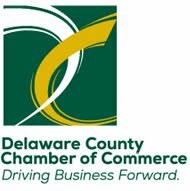 Upon presentation of the Delaware County or Montgomery County Library card two tickets may be purchased for the price of one regular admission ticket the day of the concert. And on October 22nd don't miss "Earthly to Ethereal" - a tour de force solo performance by Pianist Jennifer Nicole Campbell, the Symphony's Artist in Residence. Ludwig van Beethoven's Sonata No. 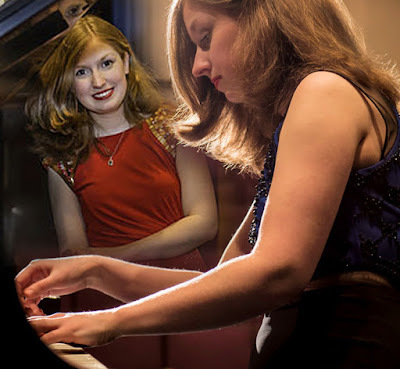 14 in C Sharp minor, "Moonlight"
General Admission $15; Seniors/Students $12; Neumann University students with ID are free; Children under 12 with paying adult are free. 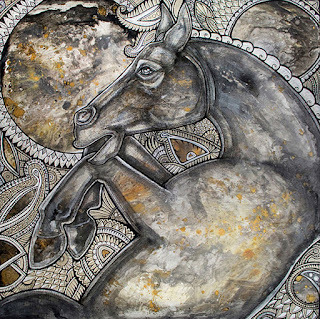 specializing in representational and abstract painting, as well as wall sculptures. Dad's was modern and architectural and closest to the ever-brewing coffee pot. He was an illustrator for newspaper, magazine and private clients, as well as an architectural render-er. Mom's studio was in the oldest part of the house, an original 'one room' stone structure c1760's with a walk-in fireplace and an upper level that once housed 7 very small beds. It was quiet, comfy and the perfect setting for a portrait and children's artist. 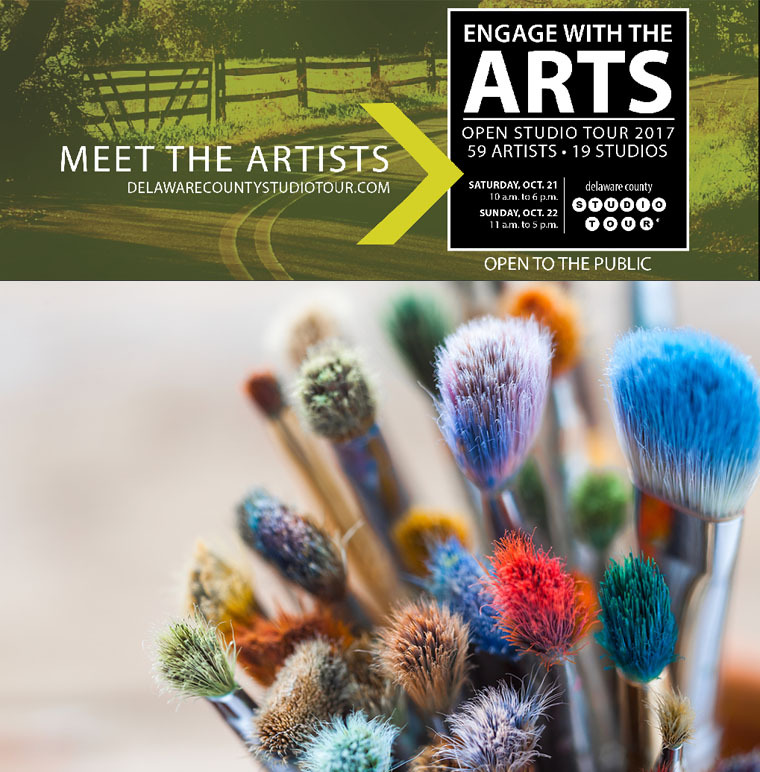 Each studio on the tour is different and unique, and paints a picture of the artist, that even he or she may not be aware of. 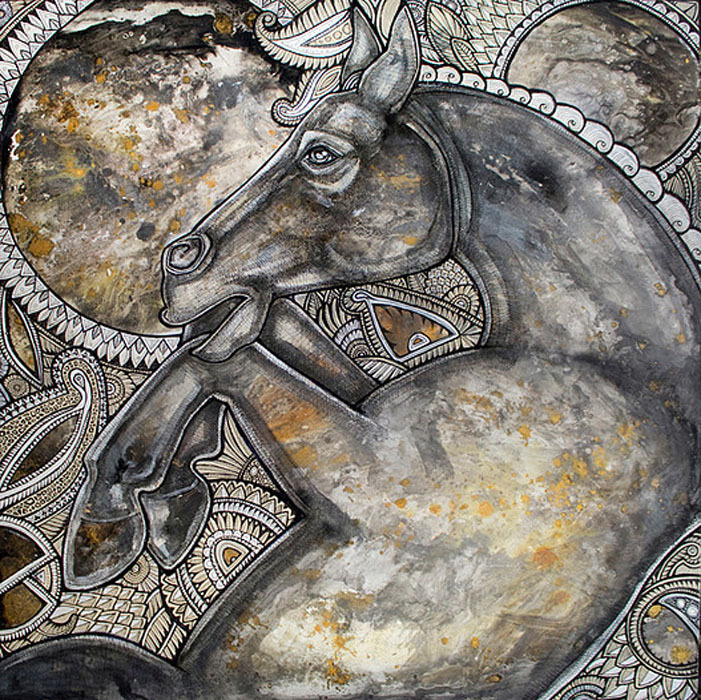 Painting by Lynnette Shelley, Macan Studios. 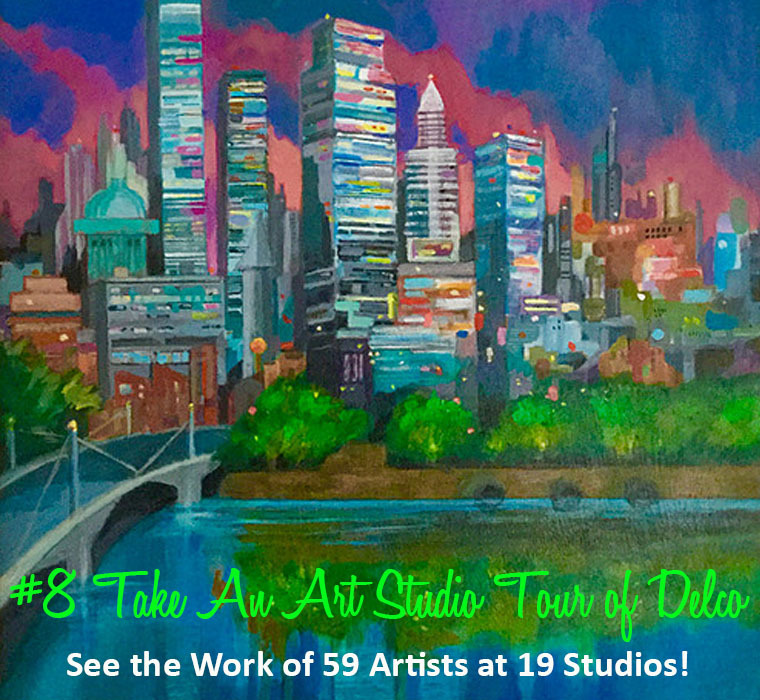 Support the Arts in Delco! Collect original framed 6” x 6” pieces of art for the special pricing of $75. The two-dimensional pieces are in a simple, elegant 6” x 6” frame, and 3 three-dimensional artists have also created special pieces for this Collector Series. A photo of each is on the website. 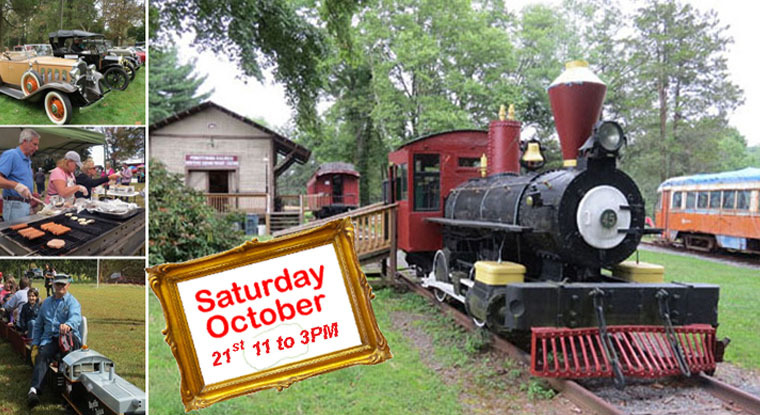 On October 21st, you and your family can Ride the Rails without ever leaving the friendly burg of Newtown Square. Bring the kids and be hobos-for-a-day at the Newtown Square Train Museum at Drexel Lodge Park. Kids of all ages love trains! So pack HANKIES FULL OF TREATS and tie them to sticks! The Steam Engine is a 1920 yard locomotive built by the American Locomotive works. It worked in Syracuse, New York until 1950 then for a short time elsewhere and finally it just rusted away. 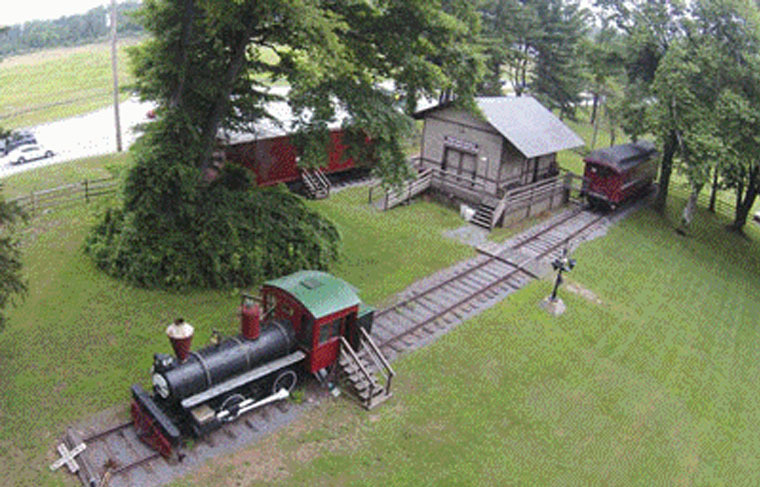 The Museum obtained it in 2002 and has restored it to look like an engine of the 1890’s. The Passenger Car was built in 1902 in the West Philadelphia shops of the PA Railroad. There were 600 built that year and this is their last remaining one. After service with the Pennsy it was sold to The Canadian National Railroad. Finally in 1975, The Henry Ford Museum in Detroit gave it to the museum. The Caboose was built by The Pennsylvania Railroad in 1950. The Museum obtained it from a local group in New Brunswick, New Jersey and has restored it. Today cabooses are no longer used on freight trains due to advancing modern technology. The Box Car was likely built in 1907. It is wooden and typical of the kind that was used on the freight line to Newtown Square. This car was donated to the museum by the National Park Service’s Railroad Museum called Steamtown located in Scranton, Pennsylvania. But on October 5th, when the curtains rise on Noel Coward's Blythe Spirit, the stars align and an eccentric medium, Madame Arcati, manages to bring a spirt back to life - and it's not just ANY spirit! 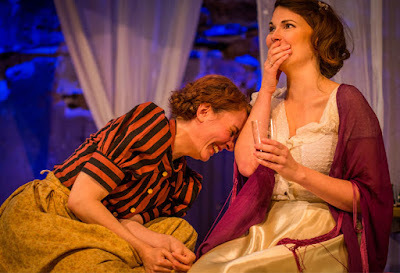 The play is about a novelist in search of material for his new book. Considering something supernatural, he invites Madame Arcati to his house to conduct a séance. This of course backfires when the ghost of his annoying and temperamental first wife arrives to haunt him...disrupting his marriage to his second wife! Clairvoant Madame Arcati in Blythe Spirit. 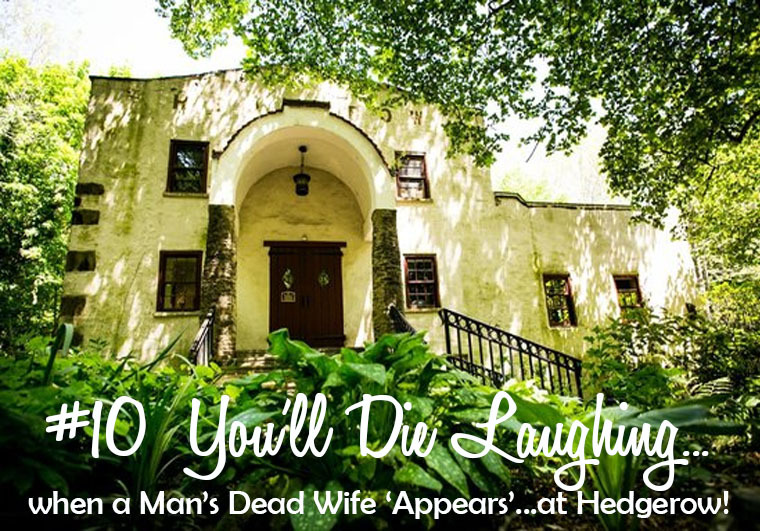 This is one of the few hauntings that will have you cracking up for almost two hours straight! Penelope Reed, noted actor and former Artistic Director for Hedgerow Theatre takes the stage again, playing Madame Arcati. Her years of experience can be seen in her amazing timing, and nuanced portrayal of this very funny character. Under her leadership as Artistic Director she helped grow Hedgerow into a dynamic regional force in theater and recently received the Philadelphia Barrymore Lifetime Achievement Award at the Merriam Theatre.